Transitioning from teaching with textbooks to utilizing a literature-based curriculum in the classroom can result in many questions from teachers. As result, we’ve compiled the following questions and solutions for those teachers and administrators considering Train up a Child Publishing as their curriculum choice. Is it really possible to cover the Creation to Modern time periods in a single year? Definitely! By planning ahead and not overstepping recommended timeframes as outlined in the Teacher’s Manual, you can teach all of it in a single year. The important point to remember is that we don’t think of students as learning for any single year. We see education as a layering effect, with each year building on the last. Even with a textbook, you cannot cover everything in a single year thoroughly. But rather than re-teaching, which is often done in textbooks during the first few months, we believe in relevant learning that children can hold onto and then build on as the years go by. For example, in 1st grade the focus might be on significant people throughout the units and 2nd graders might study events that included the people they learned about in 1st grade. Think of education as layers like in sedimentary rock, with each building on the other, creating a firmer foundation overall. I only have so much time for literature, science, history, etc. How do I fit it all in? One of the positives about using our curricula is subject integration. While using a book for reading, you can be teaching about science, fine arts or history through the content. Vocabulary and spelling can come directly from the literature. Our curricula focus on teaching children to think and learn, increasing their desire to do so in the process. While subjects have been used for many years in the classroom for structure, we view them as overlapping and integrating in the learning process. For example, we don’t see writing as a subject, but rather a life skill that should be incorporated into almost every subject area of study. It takes a little different thinking process for teachers, but in the long run, it is the most natural way to teach and to learn. As well, less time is spent on busy work such as worksheets and creating written tests. More time is actually spent in discussion, thinking and writing. You’ll find that the only reason you run out of time with our curricula is because your students don’t want to quit working! How do I evaluate students if there isn’t a battery of written tests or workbooks? Teachers often find that such forms of evaluation give them greater latitude and allow them to evaluate the whole student. It is also encouraging to both parents and teachers to see that the gifts of children are not restricted to how well they do with pencil and paper. We recommend the use of rubrics, which make it much easier for teachers to give numerical grades. As well, rubrics provide an initial outline for expectations for both the student and the teacher, resulting in clearer communication. Finally, rubrics can be very simply designed and easily documented for teacher and student records. How do students using these curricula do on standardized tests? We understand that standardized testing plays a strong role in education as it is used by other schools, colleges and even the federal government to determine if children are learning appropriately. From our experiences, we have found that Train up a Child Publishing students fair as well or better on standardized tests as students who use textbooks. There are cases where some students have actually jumped 1-3 grade levels once they switched from a science textbook to a “whole book” approach. We attribute this not only to higher quality of teaching material, but also to the fact that the student retained more information because it was presented in a relevant and interesting way. Again, in comparison to a textbook education which skims the surface of many topics, reading whole books immerses students in material which makes it more memorable and relevant. While fewer topics may be covered, retention is usually higher. Also there are methods for filling in gaps that the whole books don’t cover. We strongly recommend students doing mini-research projects and presenting information to their classmates. Often a handout or notes on the board accompanying such material may be used. The best way to evaluate whether a person really understands a subject is to have him teach it. So, these presentations are two-fold: you can evaluate the student’s work and the student is sharing what he has learned with his classmates. Accountability for other students have presented can be used for evaluation purposes as well by having students journal or answer essay questions based on what other students have presented. Doing a couple of these per day can easily cover any missed information throughout an entire unit. I looked at your Unit Programs but I don’t have time to develop writings assignments and projects for the books. Do you have any suggestions on where I can find ideas? Suggestions and directions for projects and writing assignments are included in the Unit Program curriculum. There are timeline, map/globes and geography assignment ideas as well as group and individual projects for history, science and fine arts. Oral and written narration suggestions are included. Many of the units have project books that the student and/or teacher can use for ideas. You talk about integrating subjects and pulling language arts skills out of the books. How do I know if I am covering all of the skills for year? 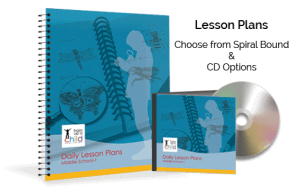 Using our Daily Lesson Plans, you can be assured you are covering enough language arts for the years. With our Unit Programs, there are checklists and other tools included with the curriculum to assist you in keeping track of student achievement. As well, the Teacher’s Manual has suggestions and instruction on how to use literature to teach language arts concepts. For history and science, we mapped out the skills needed by grade level and covered them using the recommended books. The skills may not be presented in the order of a textbook, but they are covered. For examples, rather than cover habitats in one unit, we covered various habitats in the most relevant units such as deserts during Ancients studies and prairies during Westward Expansion. With this method of study, science is more easily integrated with history and geography, and the content makes more sense to the student by providing points of reference. Is it required that we use your curricula for all of the recommended subjects? Could we try it out by just using it for history at first? Of course, you can decide to use our curricula how it works best for your school or classroom. We make recommendations based on experience in order for you to achieve the greatest success and value out of the curriculum. How will parents respond to the use of a literature-based curriculum? Obviously, we can’t speak for every parent, but the majority of responses have been very favorable, primarily due to the fact that children come home excited about what they are learning. When a child initiates discussion about studying history, science, etc. in the classroom, any parent (and teacher) will be pleased. Also, as you involve parents in reading to students, helping with projects and graphic organizers, and even planning educational events, their enthusiasm will grow. Most of us who have been in the classroom as students remember being bored and tired of doing the same type of work every day. To see your child enthusiastic about school is truly wonderful. Do we have to have copies of every reading book for every child? No. In younger grades, single copies of many of the books will work because they can be rotated or read aloud in groups. In older grades, you’ll want class sets of 5-9 chapter books for the year (one for every unit or so), but other books can be in single or multiple copies depending on how they’re utilized. One of the positives of doing unit studies for history and science is that students don’t have to be reading out of the same material at the same time. You can have students working in groups, pairs or individually with some books read by all students by a certain time and other books being presented for content without every student reading the material. The point is that the children learn the material which can accomplished in any number of ways. Can my school afford to buy the books necessary to use your curriculum? The private school educators that we have worked with previously have used a number of methods to create classroom libraries including purchasing used books, buying books in bulk from discount distributors, having parents donate books and holding fundraisers to help pay for libraries. Some private schools have a large enough budget to get started with our curricula and add a little to the libraries each year. Some teachers even supplement their classroom resources by checking out books at their local libraries to have multiple copies. Finally, parents can be asked to purchase the limited number of chapter paperbacks for their older student as part of school supplies for the year. I want to use your high school courses in my private school. Does every high school student have to have a copy of each high school course? It depends. Most schools purchase an annual site license to use our curricula, but if your school is smaller it may be more economical to use group pricing. 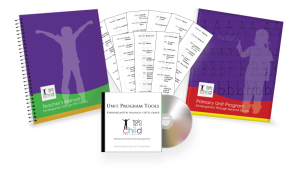 Contact us for our School and Group pricing policies at dana@trainupachildpub.com. 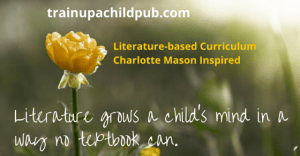 At Train up a Child Publishing, we have a true love for teaching and discipling children, so we want to be an encouragement and support for teachers working with children. We believe that children learn in a variety of ways and that by teaching to those learning styles, there is a greater opportunity not only for success, but also that the children will love to learn. We have an eternal view, longing for children to be who God created them to be, which is most likely when they have been allowed to learn and grow using their natural strengths and abilities. Read more about our curricula by checking on the images below.